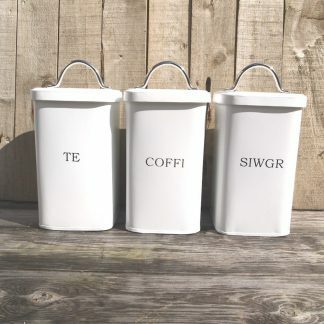 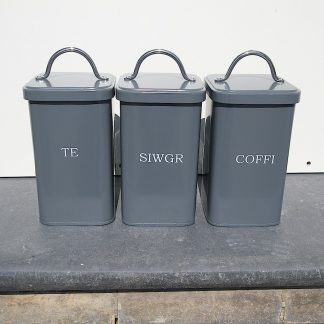 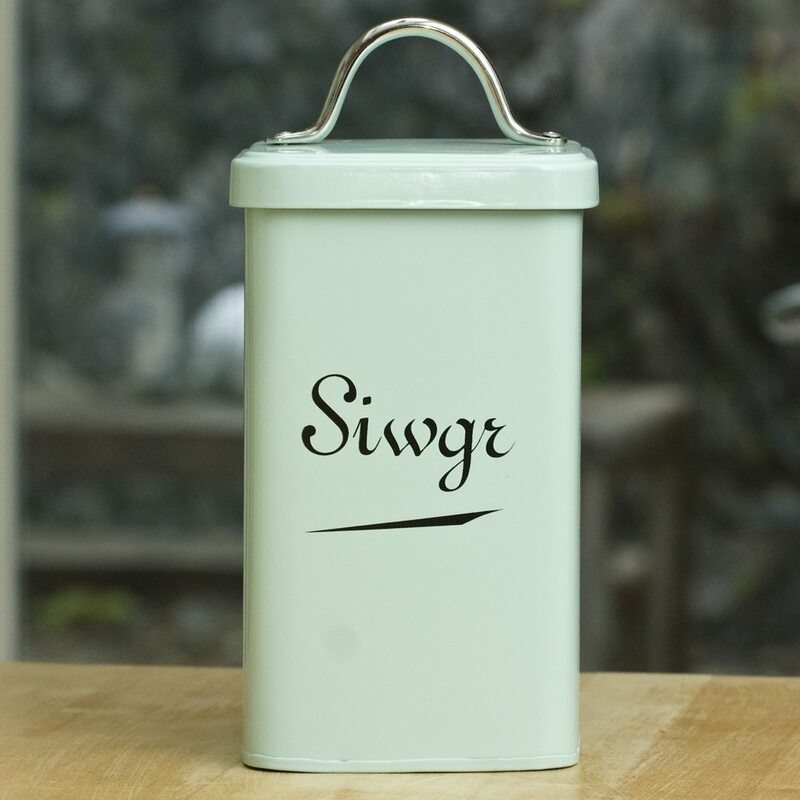 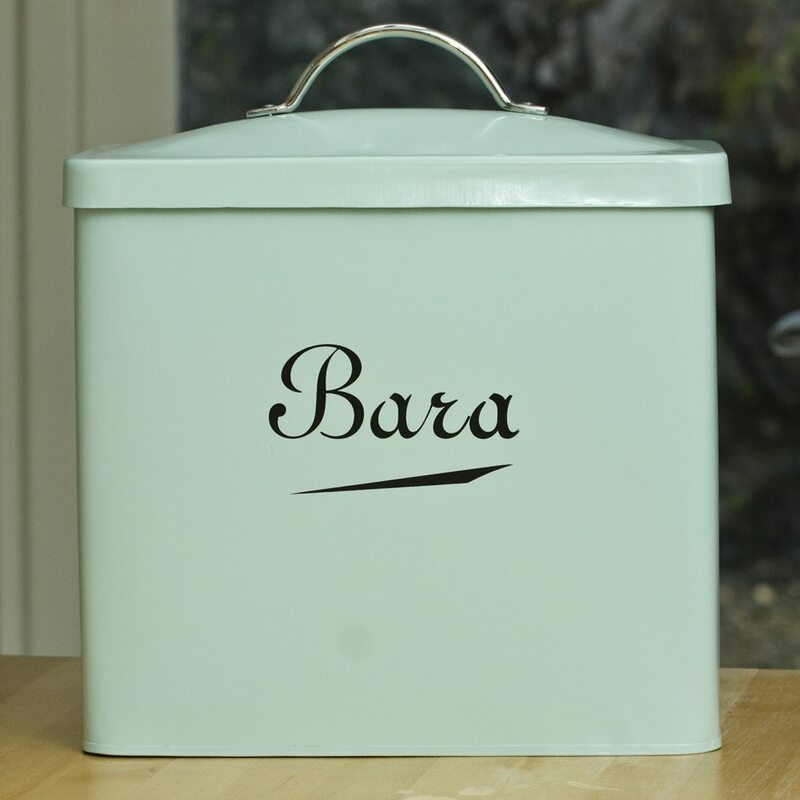 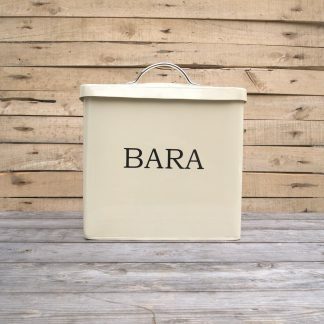 A vintage style enamelware bread bin manufactured in South Wales. 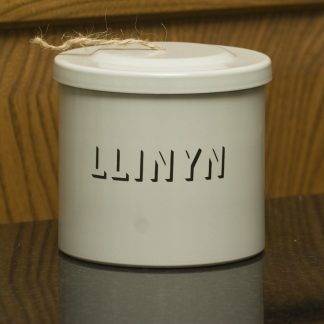 Inscribed with the Welsh word for bread. 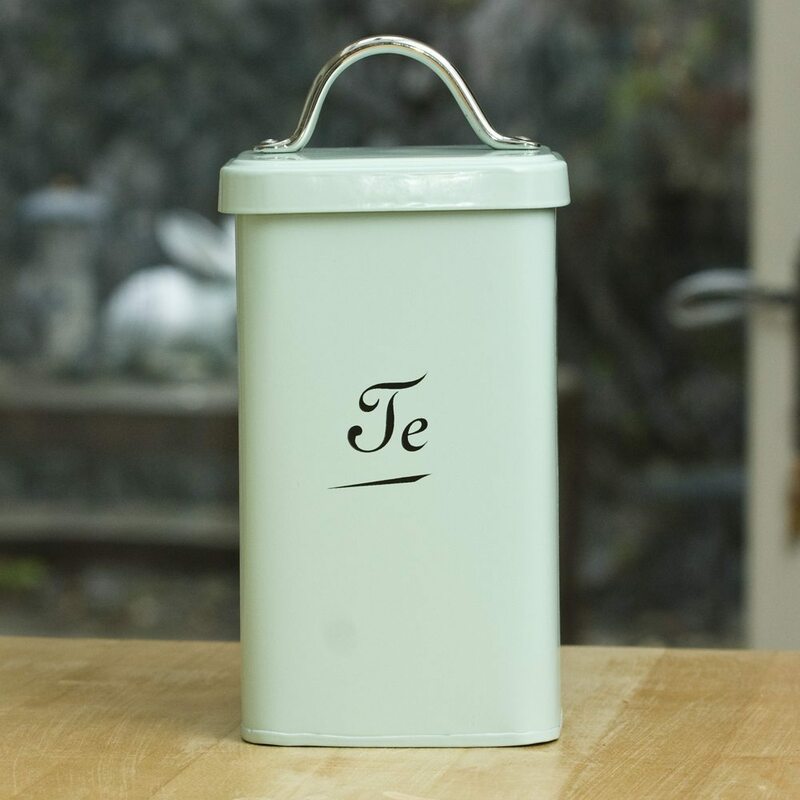 Duck Egg Blue. 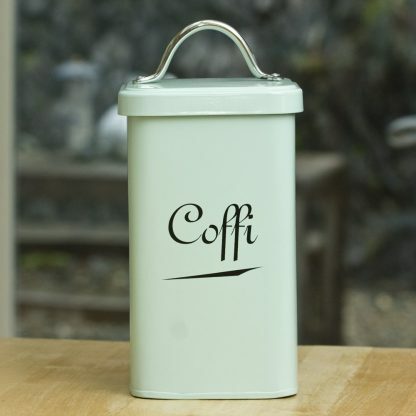 Dimensions: Height 37cm(inc handle) Width 34cm Depth 16cm.